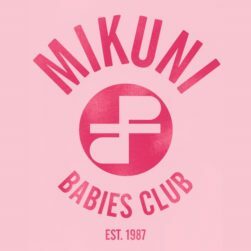 Mikuni Online Store | T-Shirts, Hats, Gifts, and more! 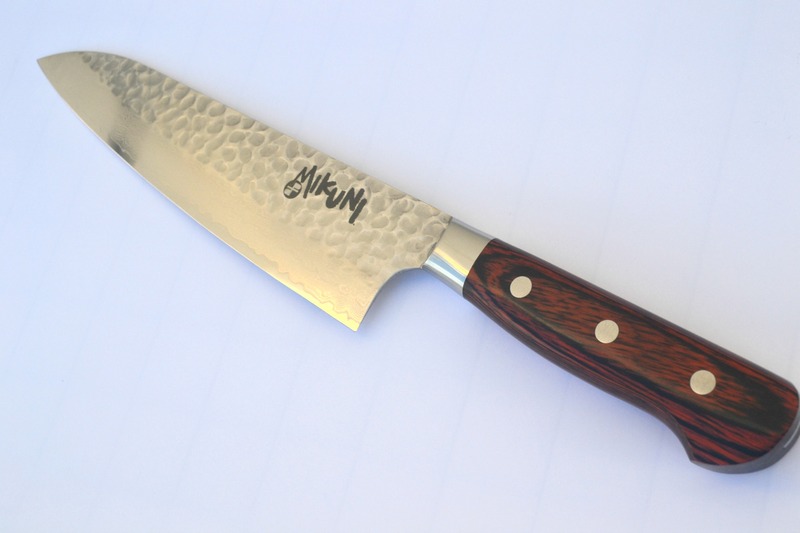 This hammered damascus gyuto measures 210mm on the edge and uses a very nice stainless, hammered cladding which is very attractive. Also has a 50/50 bevel on the edge so is good for both right- and left-handed users. 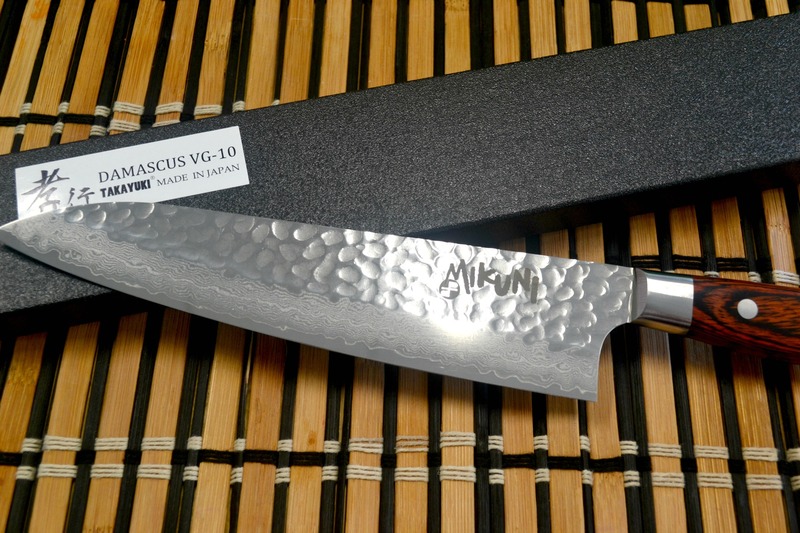 Categories: Sushi Knife, Sushiology, Gifts.